See the back side with a ruler. 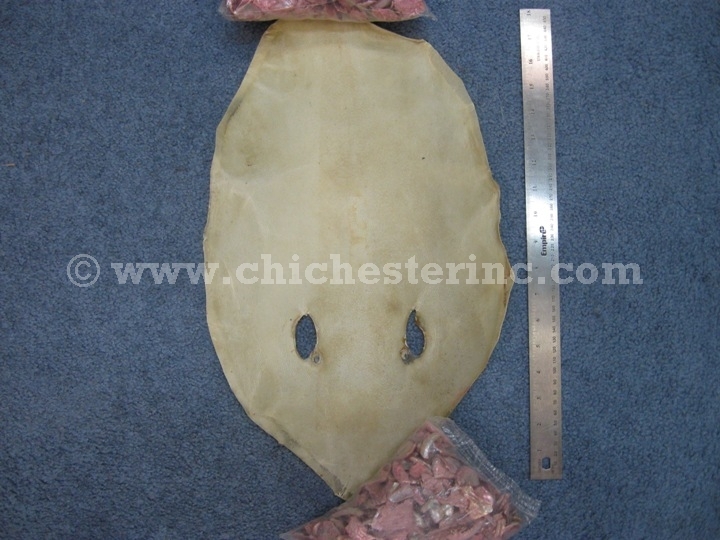 These cowtail stingray rawhide are professionally prepared in Thailand. The hide is very stiff and feels like sandpaper. Stingray rawhide is frequently use for making Japanese sword handles. 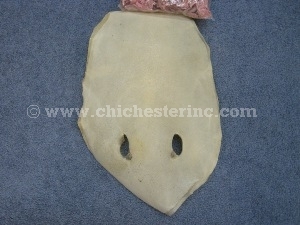 Please see the gallery of stingray rawhide in stock and available for sale. Our Gxx codes denote individual pieces. If you would like to order a specific piece of rawhide, please go to our Gallery to pick the exact one shown.